Yet another problem that made me lose 3-4 hours. Well, I usually use the same code across my application, I have my basic scaffolding. It only gets better in time. However, sometimes I forget to change the package names, XML namespace definitions etc while copy/pasting. I thought this is also same problem. But I couldn’t find anything. Surprisingly, this occurs after you submit the application to the play store. While application X is installed, Google Play Store does not let another application with the same provider to get installed. Troubleshooting did not help me, in product forums they only recommended cleaning up cache of google play store app etc. 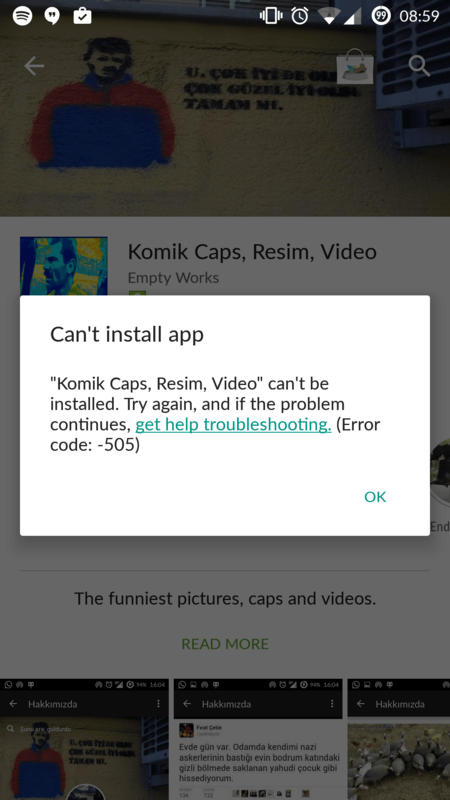 But this problem is not related to neither your phone nor your play store application. It persists in different operating systems and different phone models. What you need to do is simple, follow me. android:authorities tag is the problem. I should have changed my facebook app id because they are different apps. As you can see, copy/pasting sometimes makes you lose more time than you gain.